Lagos – A chieftain of the PDP, Chief Olabode George, said in Lagos on Thursday that appointing a credible person as national chairman of the party would determine the performance of the party in the 2019 presidential elections. George, who was a former Deputy National Chairman of the PDP, said that it was imperative for the national leadership of the party to appoint a credible person as its national chairman. He argued that appointing someone, who had no understanding of the direction and manifesto of the party would be catastrophic for the party in the 2019 general elections. 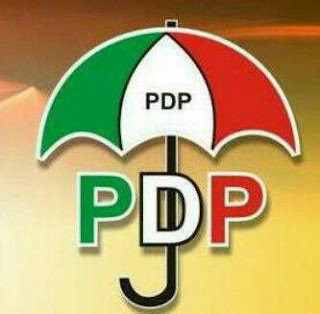 On July 14, the national caucus of the PDP in Abuja agreed that the next national chairman of the party would come from the southern part of the country. The body also agreed that the party’s presidential candidate would come from the North in 2019, to square up with President Muhammadu Buhari of the APC. “The chairmanship position coming to the South means if the party is serious, the party must look for a credible, responsible and respectable person, who has the network and experience. “It has to be a person who has the details of the party and not some ‘’bambino.’’ “The PDP must avoid going from frying pan to fire and bring an appropriate person. “Anybody lower than the level of the chairman of APC will be inappropriate. We have to get somebody that will be at par in political experience and understanding of the tenets of the party. ’’ According to George, appointing an inexperienced person will be to the detriment of the party, which was previously in government for 16 years before it was defeated by the APC last year. On the recent fracas between the Segun Adewale and Moshood Salvador factions of the party in Lagos, the PDP chieftain told the police to bring all those involved in the fracas to book. He, however, urged party members to work together for the benefit of the party, saying that the party would not condone indiscipline among its members. George said there was nothing wrong with party members disagreeing over certain issues, noting however, that it was distasteful when people resort to shooting one another in the presence of the police. He described the fracas as an absolute lawlessness and political immaturity, wondering why people in the same party would struggle for the same position within a party.